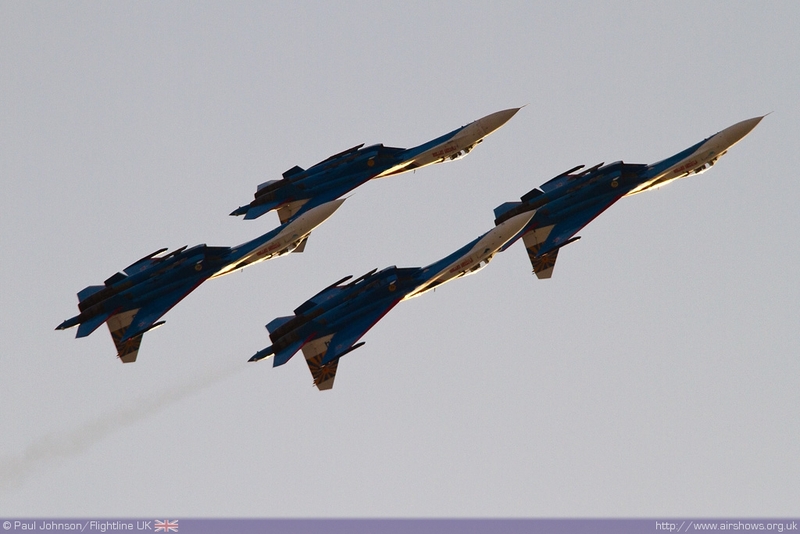 If there was one act I wanted to see more than any other, it was the Russian Knights display team (Russkiye Vityazi). 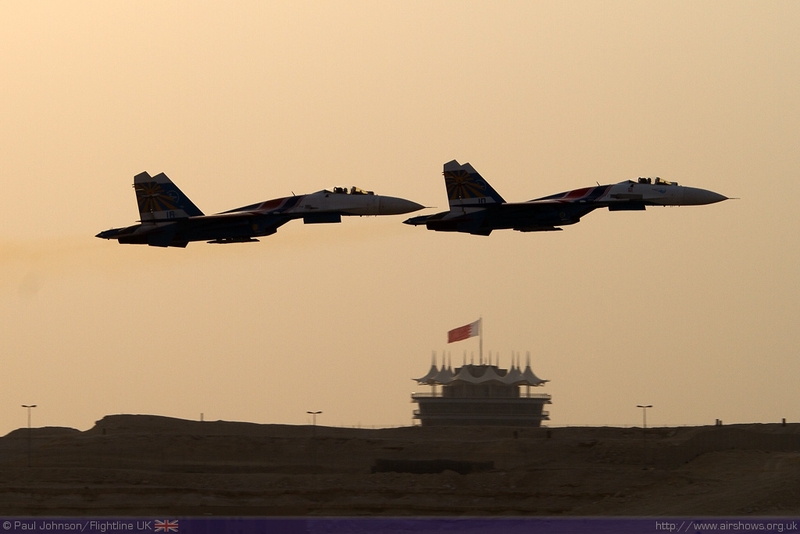 I finally got to see the team perform at the Bahrain International Airshow back in January. 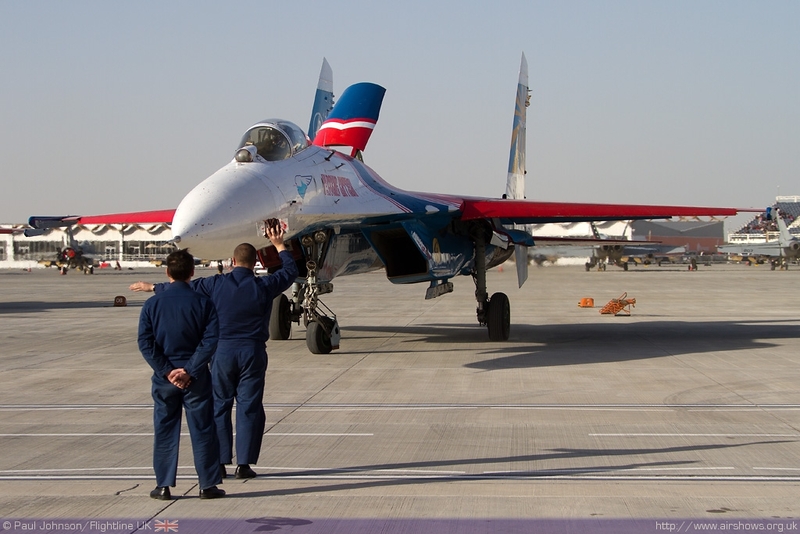 In the relatively clear Arabic skies, the team provided one of the outstanding highlights of an airshow full of rarities from across the world. 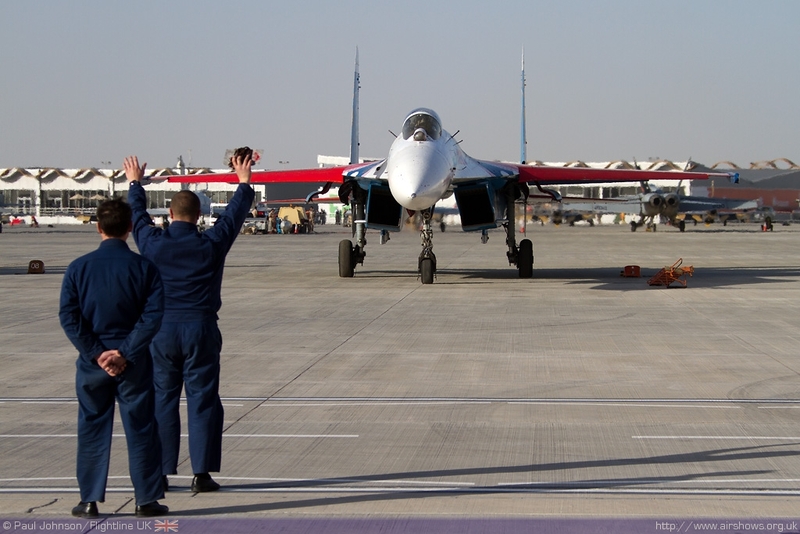 Paul Johnson/Flightline UK recalls what made their display so special. All photography by the Author. 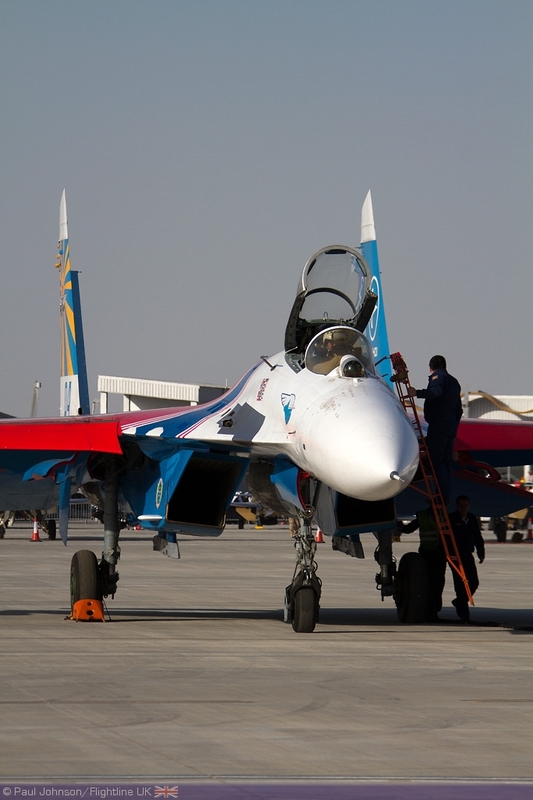 If there ever was one aircraft that captured my imagination at airshows, it was the Sukhoi Su-27. 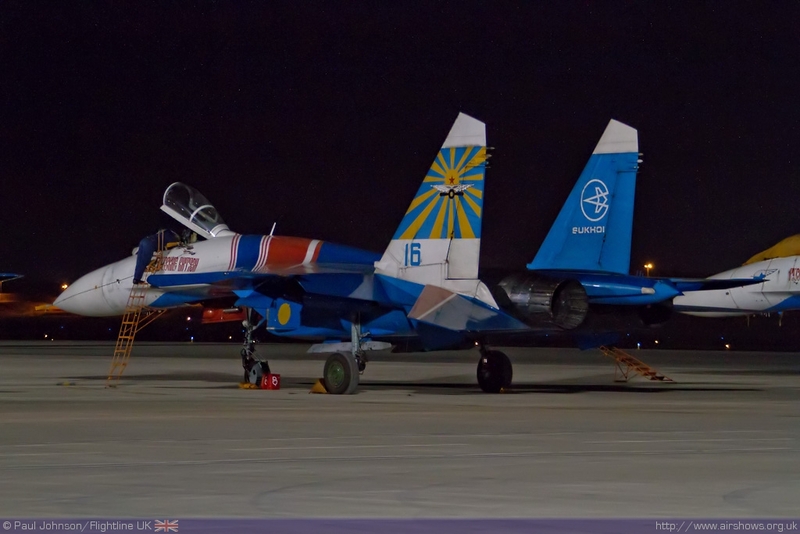 The Su-27, NATO codename ‘Flanker’ is an awesome Russian Interceptor built to intercept NATO bombers, strike aircraft and cruise missiles. 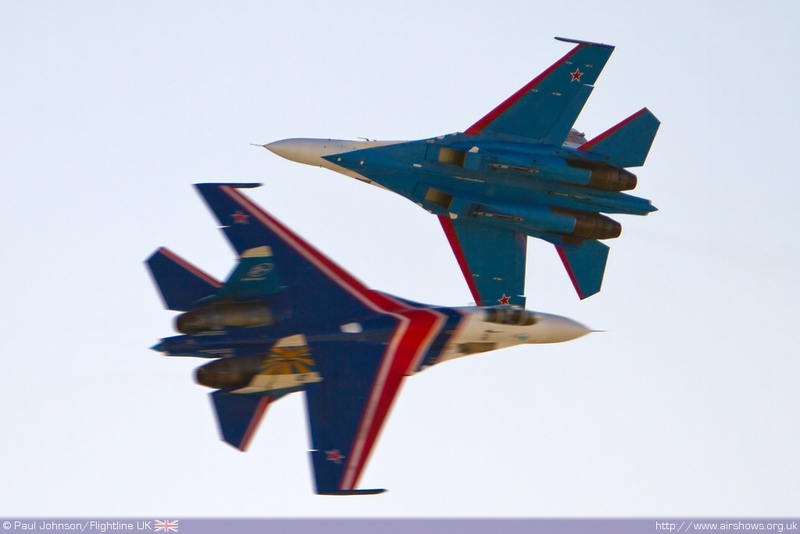 It entered service as the Cold War was drawing to a close, but the thawing relations between East and West soon meant it became a fixture at the big western airshows. 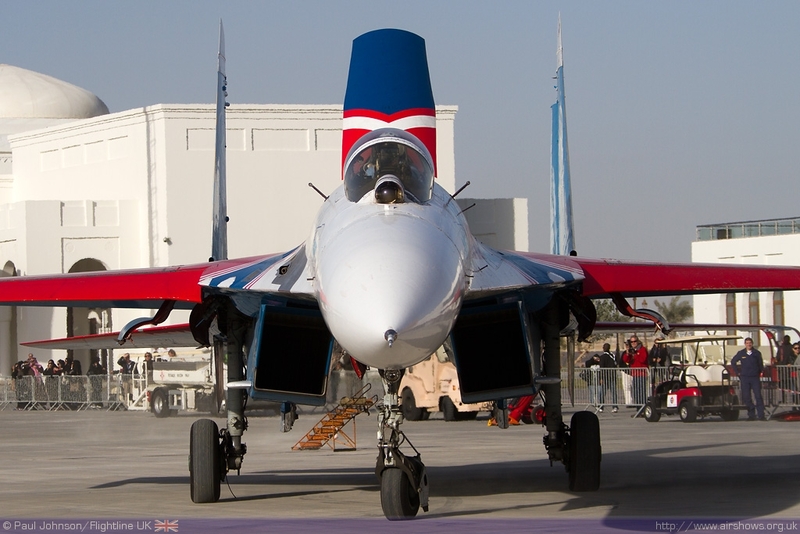 My first encounter with the Sukhoi was when it arrived at the Air Tournament International organised by the then International Air Tattoo at Boscombe Down in Wiltshire when a striking Red, White and Blue Su-27 arrived in company with an elderly Tu-134 airliner support aircraft. 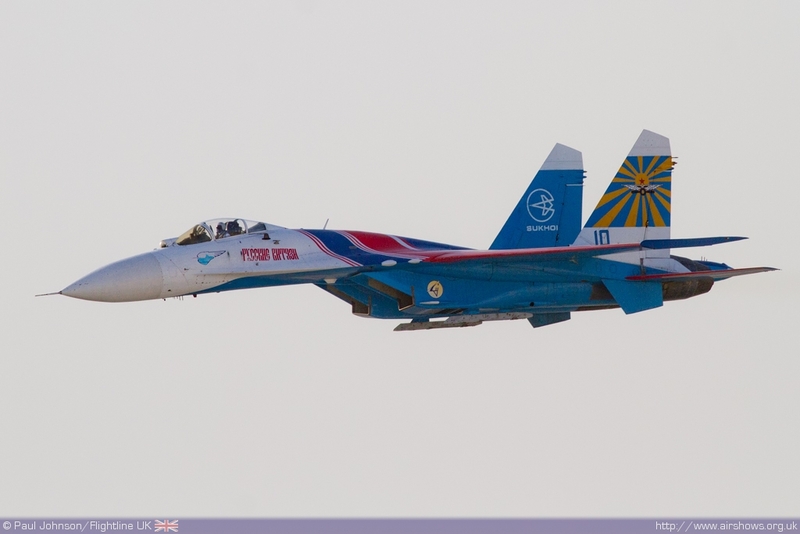 The pilot, Anatoly Kvotchur made a stunning entrance to UK airshows with his amazing missed approach in formation with the airliner before opening the throttles for a short display of the aircraft’s enormous power. 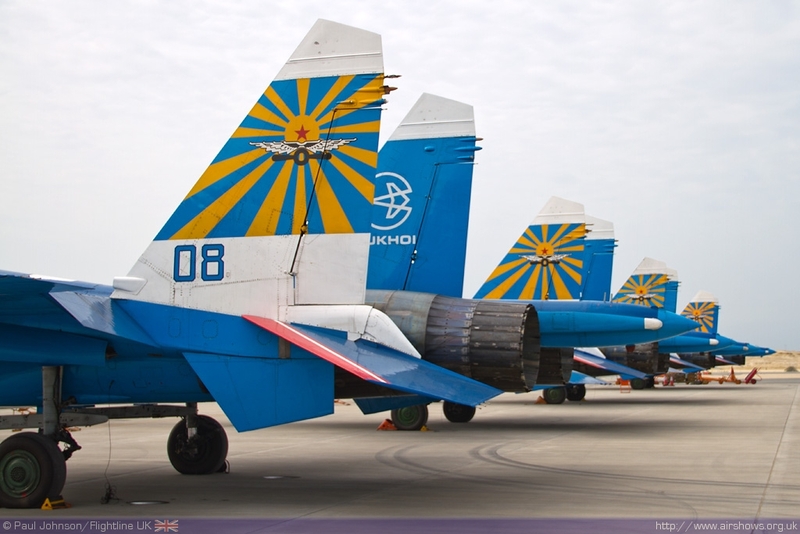 A week later, the Sukhoi appeared at the Biggin Hill International Air Fair at which Anatoly’s displays became a firm, but very welcome fixture during the mid-1990’s. 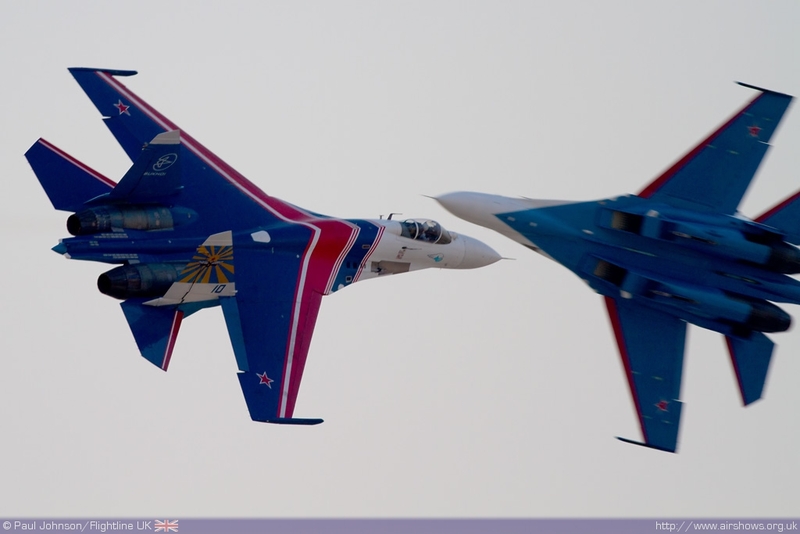 The amazing displays never disappointed with the traditional Russian mix of power and impossible aerobatic figures for jets such as the tail-slide or the cobra. But perhaps his most memorable displays were those in appalling weather conditions at the 1995. 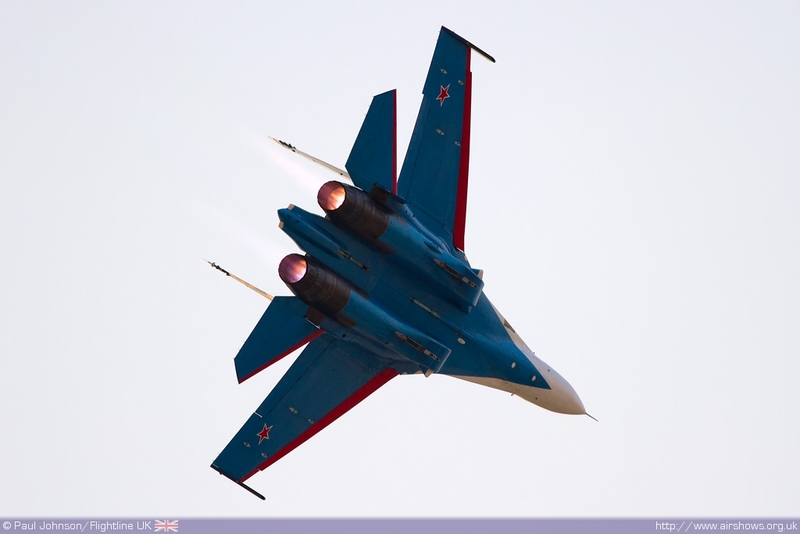 The sight of a big Russian interceptor flying a low fast pass just a few feet off Biggin Hill’s runway with a rain-soaked London Docklands backdrop is one of my most memorable airshow moments! 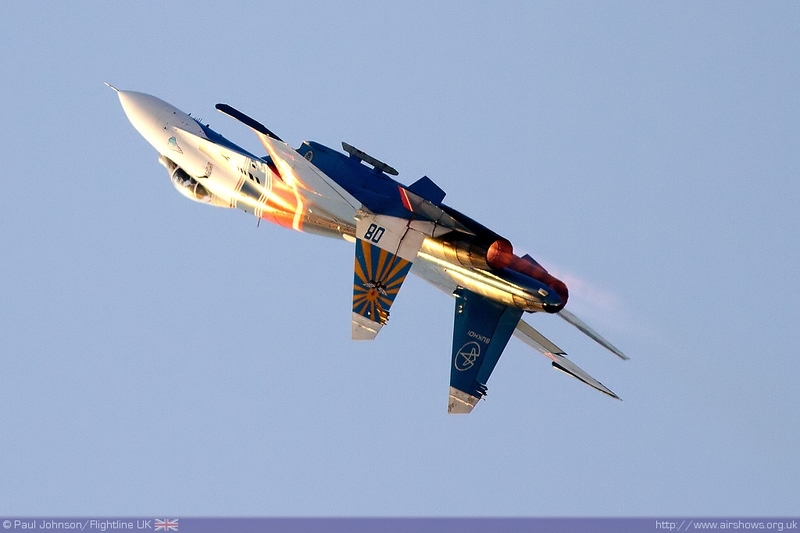 Anatoly was undoubtedly the best fast jet display pilot ever to grace UK airshows. 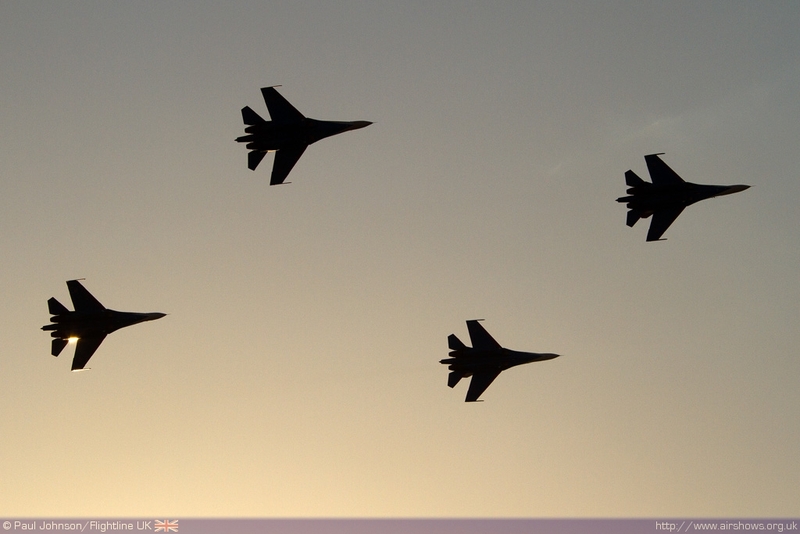 Then there were the Farnborough appearances by Sukhoi’s factory aircraft. 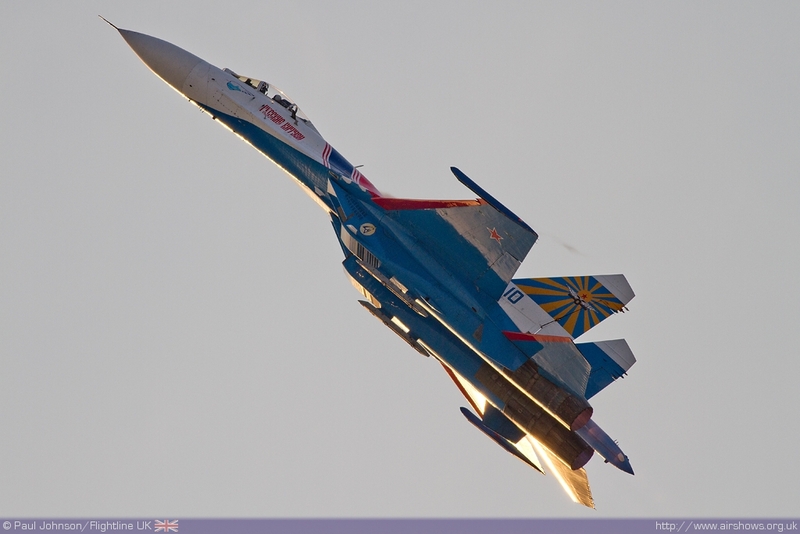 The original Su-27 certainly was always impressive but then came the Su-30MK and Su-35 which both put on amazing displays – the latter able to perform a cobra in a knife-edge profile known as the ‘hook!’ But 1996 will live long in the memory when the Sukhoi Su-37 thrust vectoring Flanker made its debut. 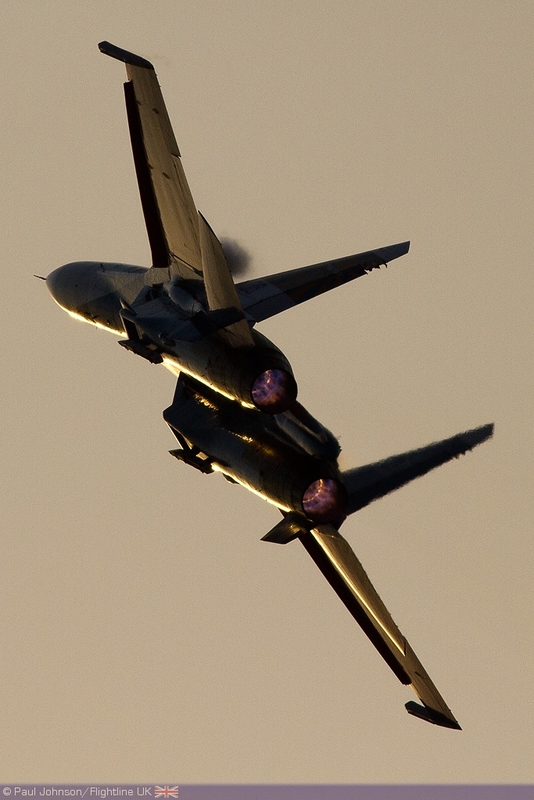 The final display that went public may have been tamer than originally planned due to display rules, but the sight of such a large jet somersaulting and hanging motionless in the air was quite simply stunning! 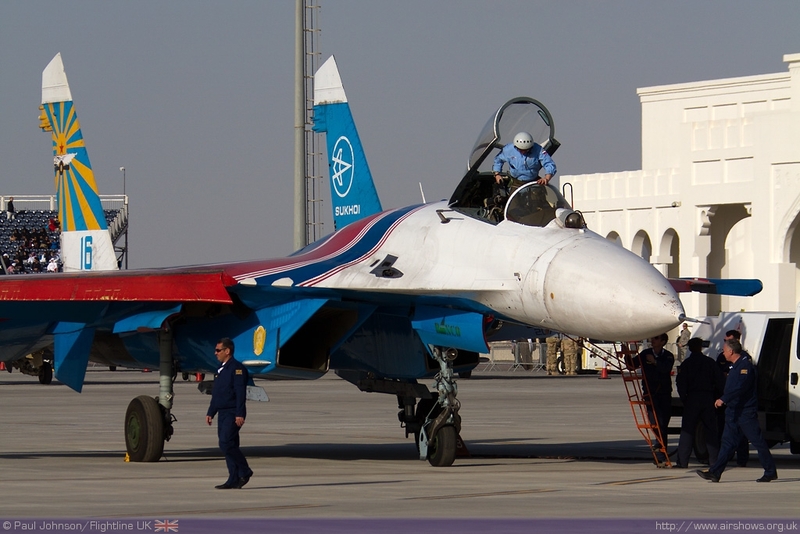 Following on in later years was the Su-34 strike version with it’s strange side by side seating arrangement. 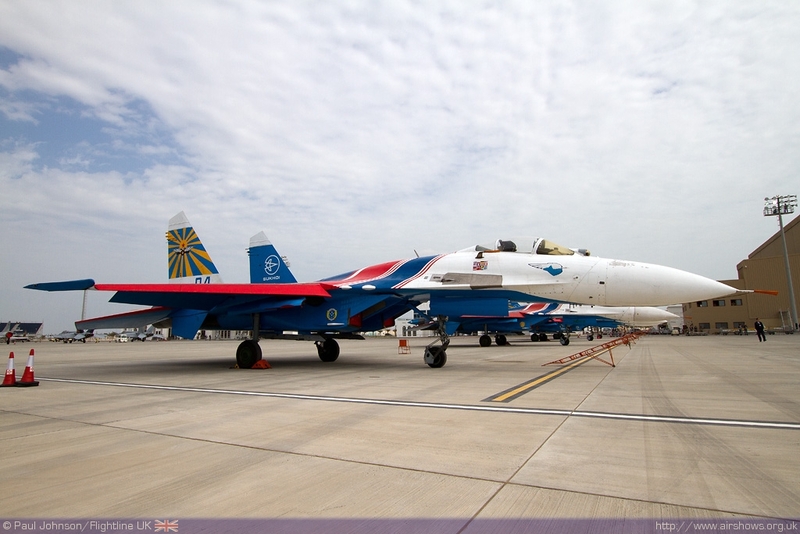 In recent years, Sukhoi Su-27s have been a very rare sight in UK skies with just the Indian contingent of Sukhoi Su-30MKIsin 2007 at Waddington and RIAT plus the Ukrainian Su-27UB that appeared in 2011 at RIAT. 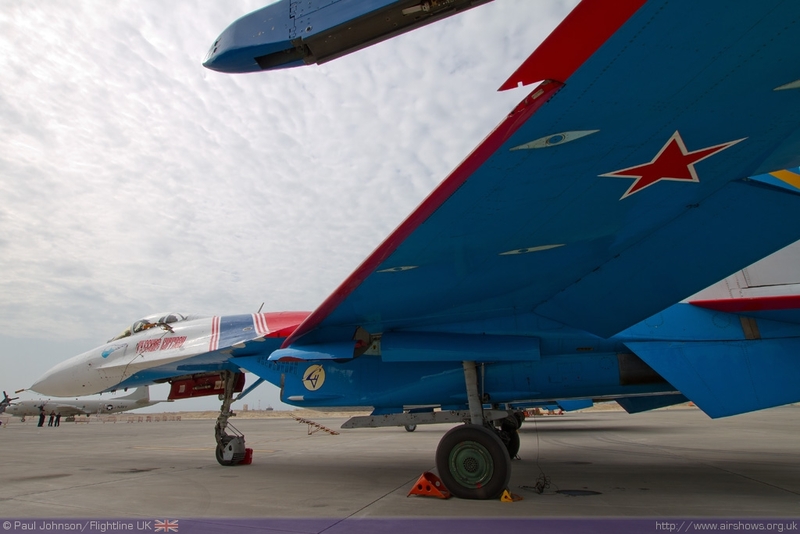 The Russian Knights themselves have only visited the UK once in 1991 as a return gesture to the first Red Arrows appearance behind the Iron Curtain in 1990. 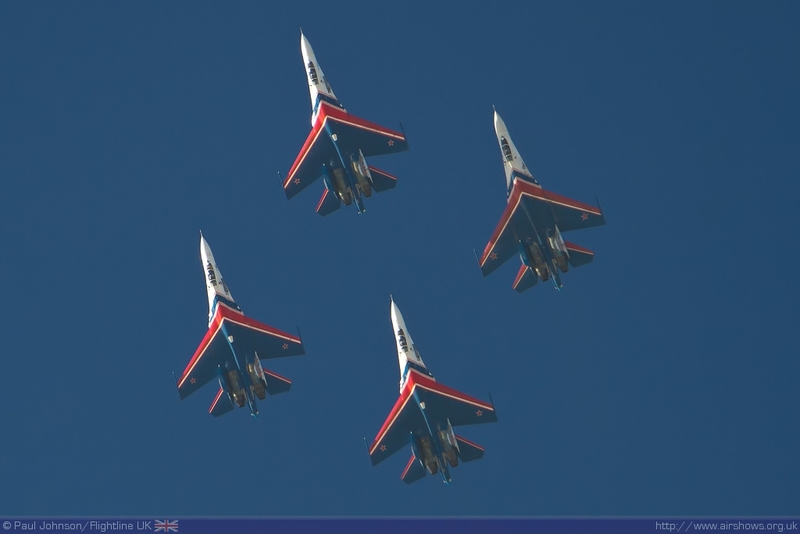 The team performed at the two major RAF displays at RAF Finningley and RAF Leuchars but have not returned since despite the odd runour of a RIAT appearance! 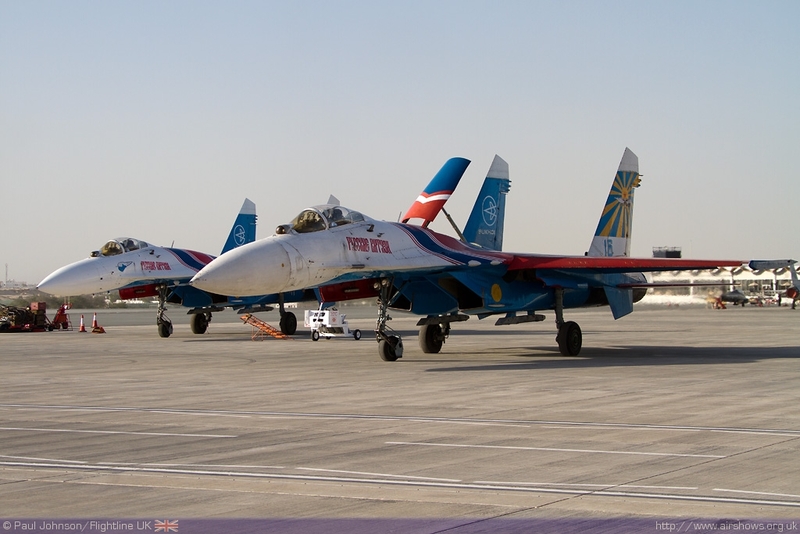 In very recent years, the Russian Knights have made only a few appearances outside their homeland and in 2011 it was thought the team had been disbanded following the MAKS Airshow is Moscow. Fortunately for Bahrain, there seems to have been a change of heart for the moment, perhaps in anticipation of the 100th anniversary of the Russian Air Force this year. 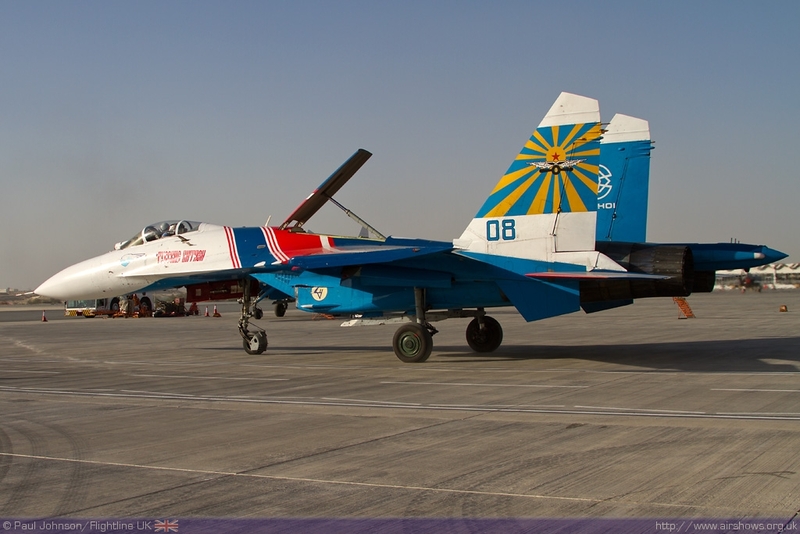 Naturally, with all the history of Su-27 displays of the past, you can possibly understand why I couldn’t wait to see their display. 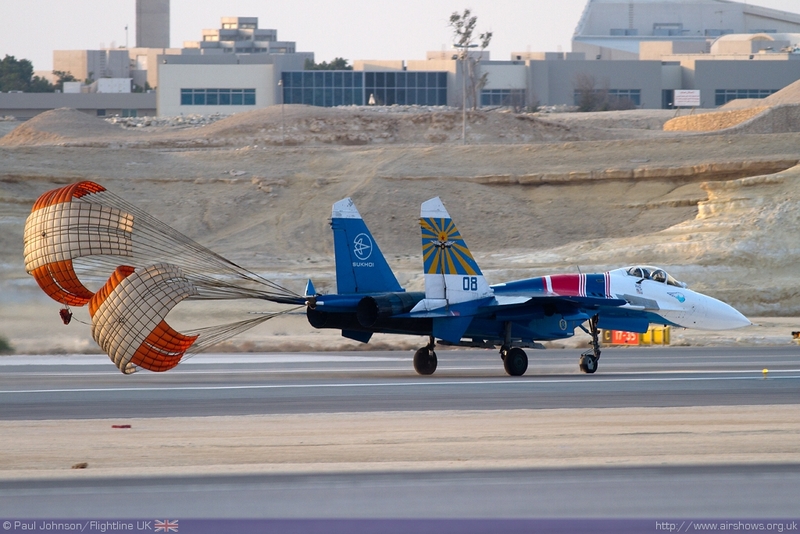 The team appeared at Bahrain with their complement of four Sukhoi Su-27P long range interceptors supported by a typically rather worn looking Iluyshin Il-76. 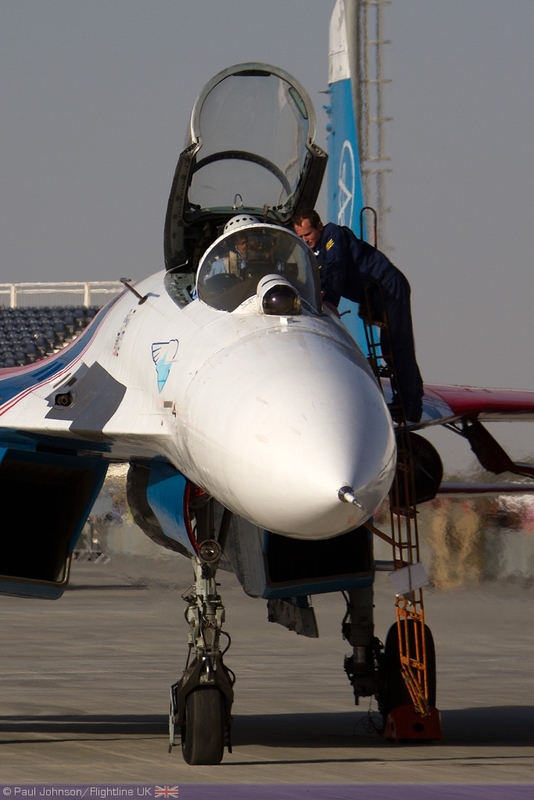 The Su-27s themselves are fairly old airframes but thanks to some very robust Russian engineering remain very reliable. 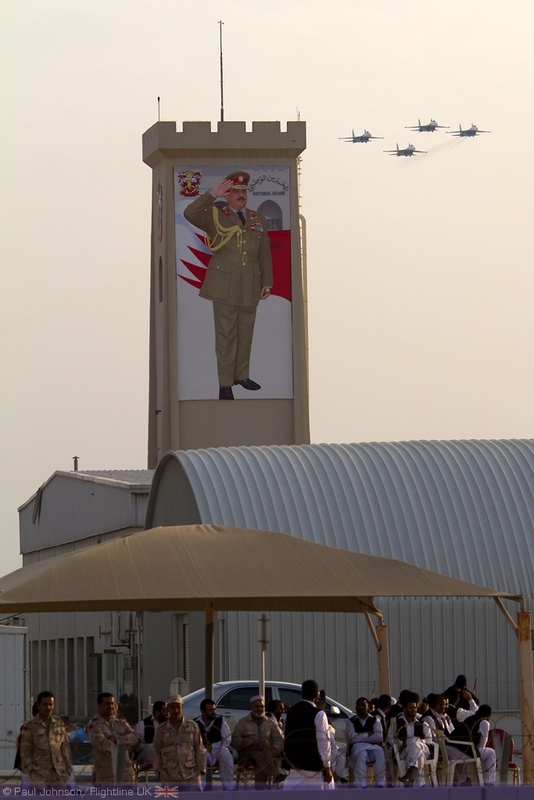 In 2012, the new four-ship routine is led by Andery Alexeev. 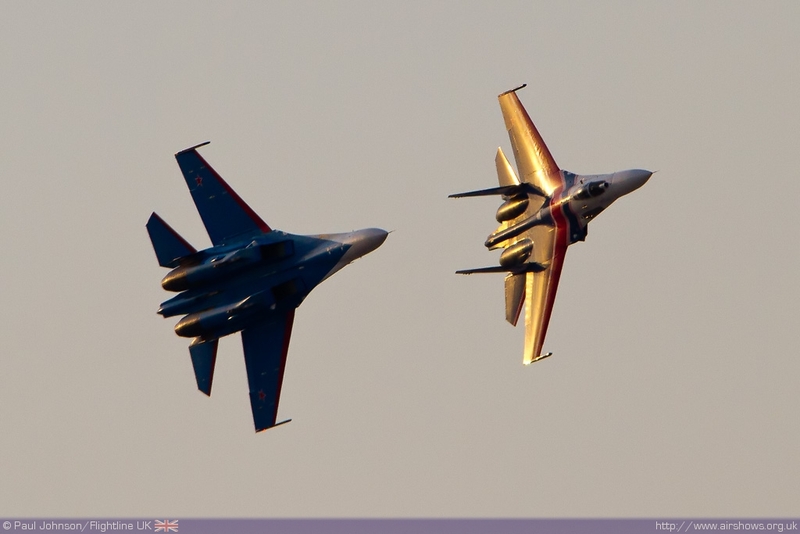 Flying as his two wingmen are Sergey Zhcheglov and Alexandr Bogdan on the left and right wings respectively. 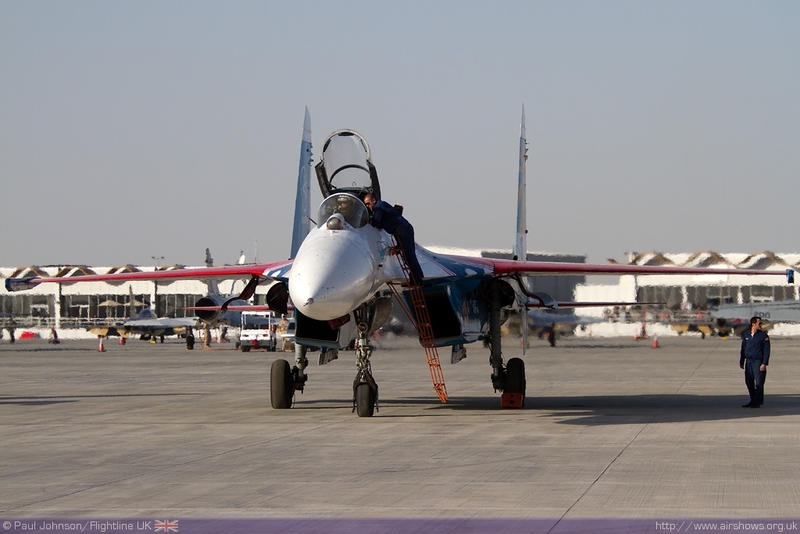 The ‘slot’ and solo pilot is Oleg Erofeev. 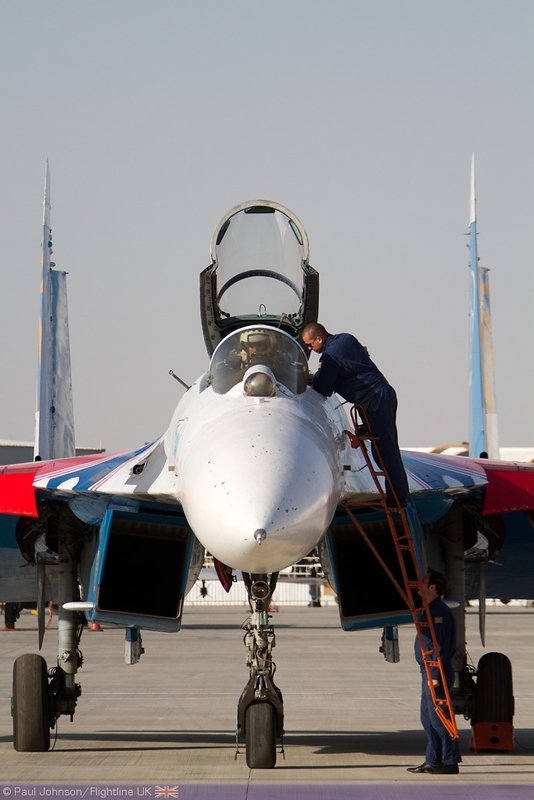 They were supported by an enormous team of technicians who kept the Sukhois serviceable and were clearly enjoying some time in the warn sun rather than the depth of a Russian winter! 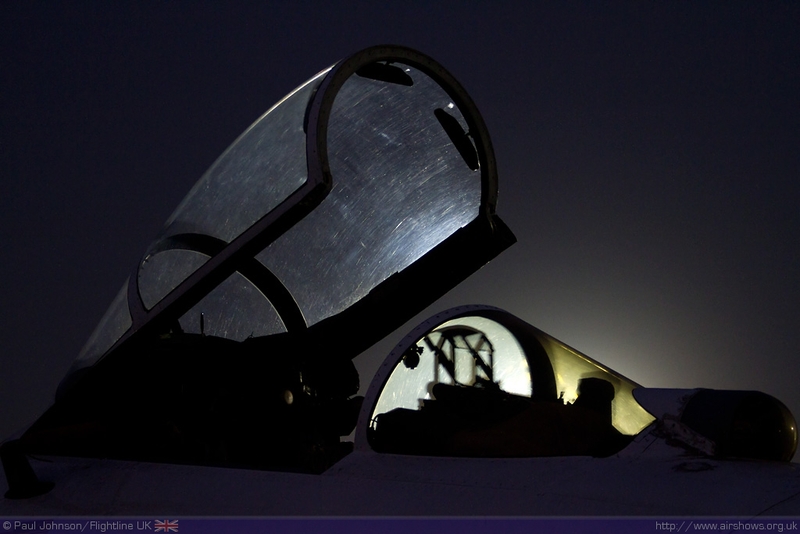 They worked long into the evening preparing the aircraft and showing many interested visitors around their aircraft. 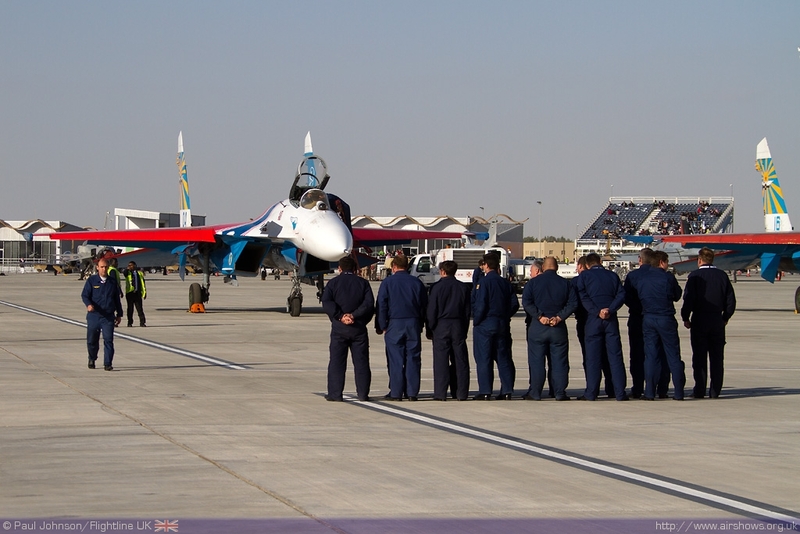 The routine presented in Bahrain was certainly attention grabbing – the noise of eight Saturn-Lyulka AL-31F Turbofans is immense and soon pulled the crowds away from the chalets. 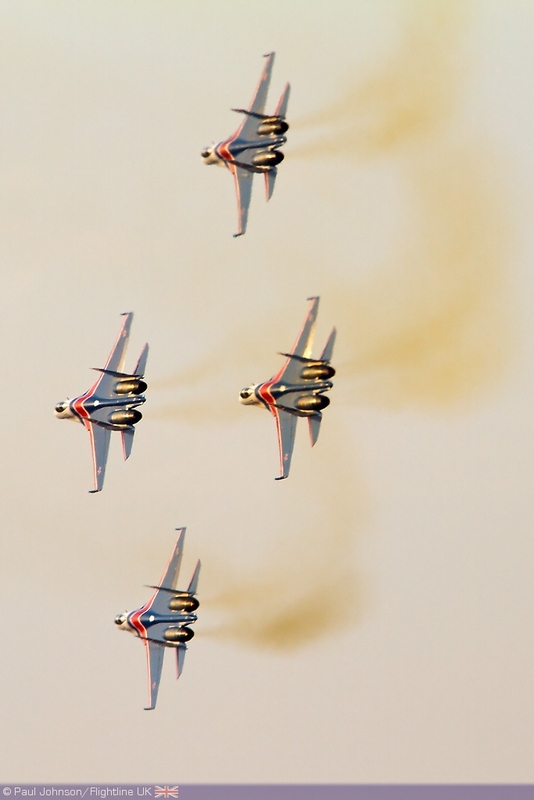 The opening part of the routine was a take-off from which the first pair went straight in a formation loop while the second pair took off underneath – a very slick way of forming up. 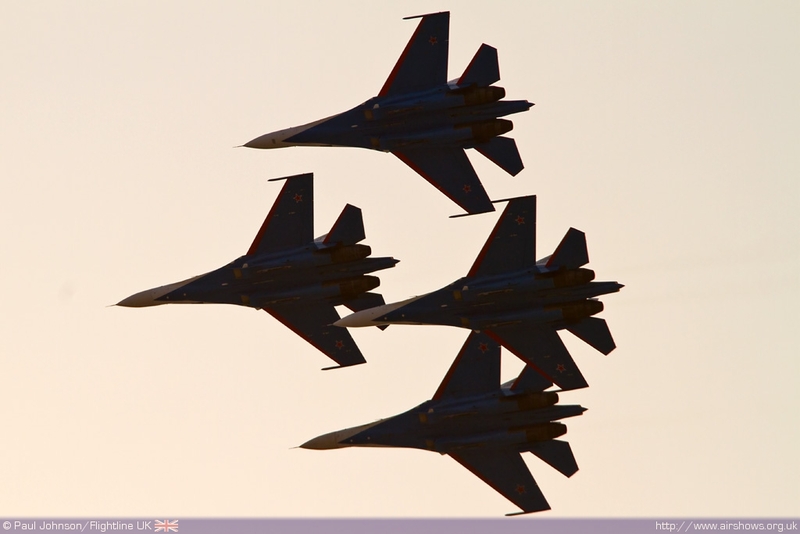 Like many other display teams, the first section of their display was a master-class of formation flying. 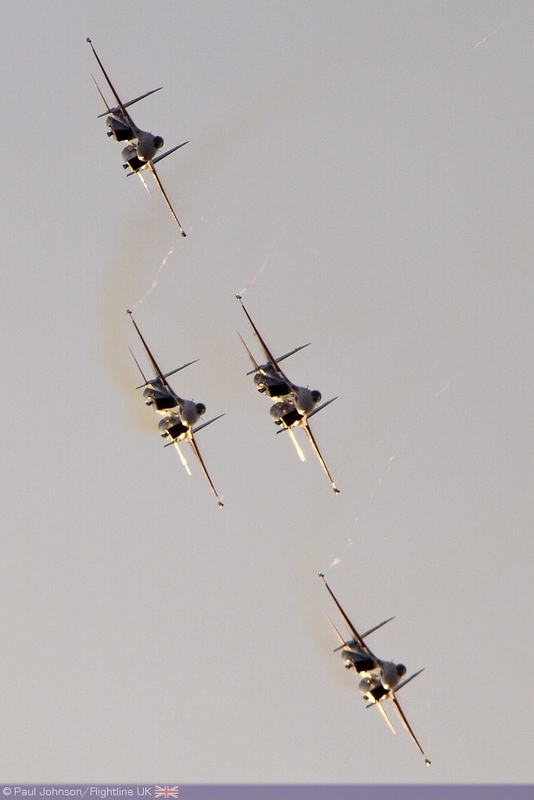 With just four aircraft there aren’t that many different formations you can fly so the team staying in their trademark diamond formation. Starting off with a dirty slow pass the each pass became faster and the formation tighter! 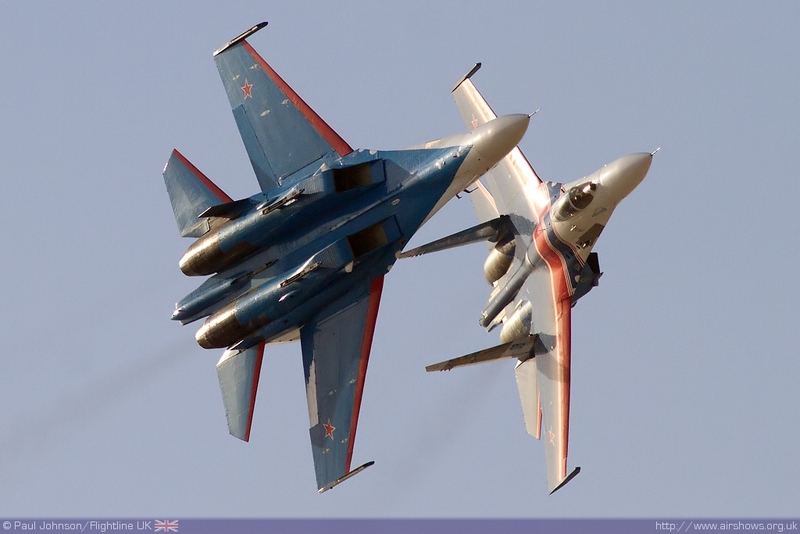 Ending the first half was a spectacular cross over break before the much more dynamic second half containing some very dramatic opposition passes, synchronised tail-slides and dramatic solo aerobatics! Many say ‘never meet your heroes’ as they always prove to be an anti-climax. 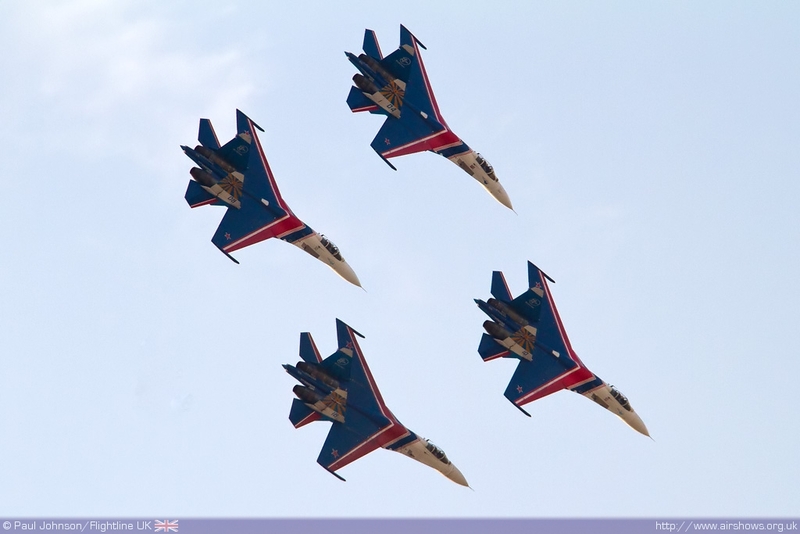 Nothing could be further from the truth with the Russian Knights; they were quite simply stunning and provided one of the most memorable air displays I’ve witnessed. 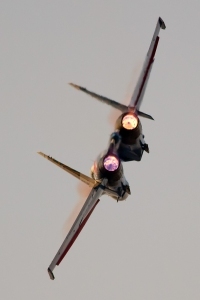 This was despite the team being unable to use their stunning flares at the show after the organisers recovered some considerable debris from the cartridges spread over the display area! 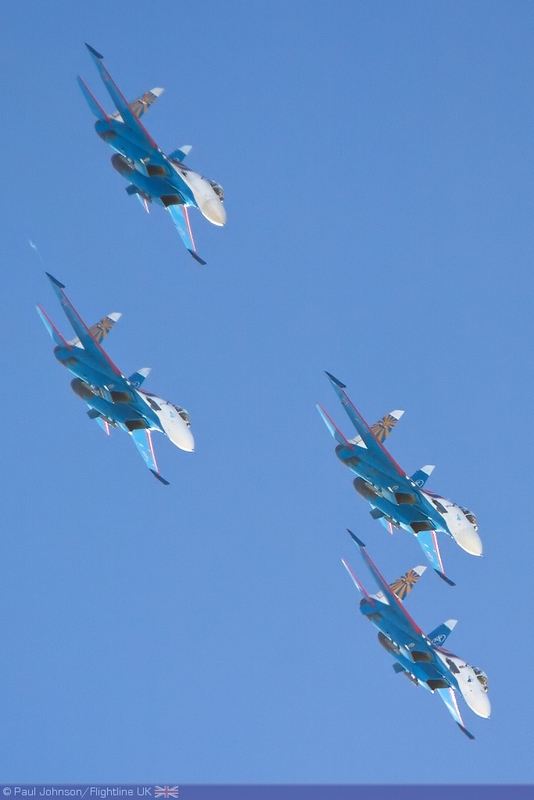 Their display was one of power and flair rarely seen at western shows these days which may be partly down to the aircraft, but mostly down to some very talented and skilled pilots who are clearly masters of their art. 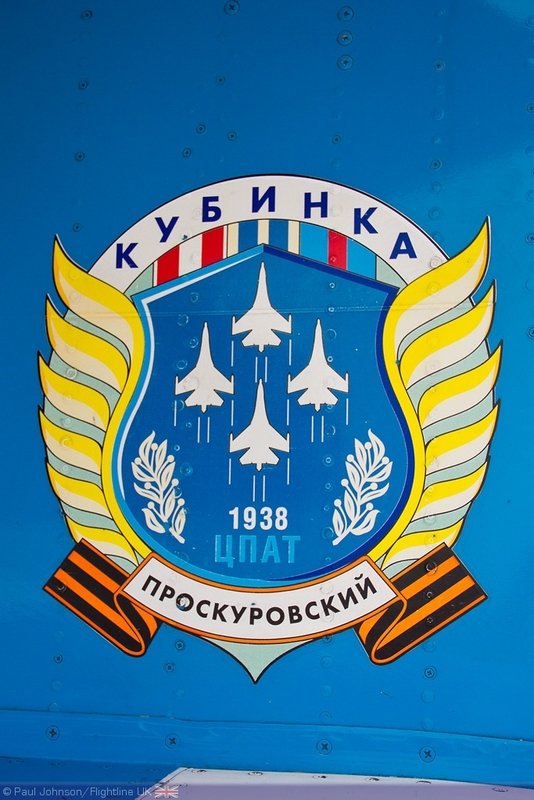 Despite rumours of the team’s demise, and news that a new Russian team will be formed on the Yak-130 it seems the Russian Knights will continue and will even hopefully transfer on to the much more modern and agile Sukhoi Su-35 in the near future. 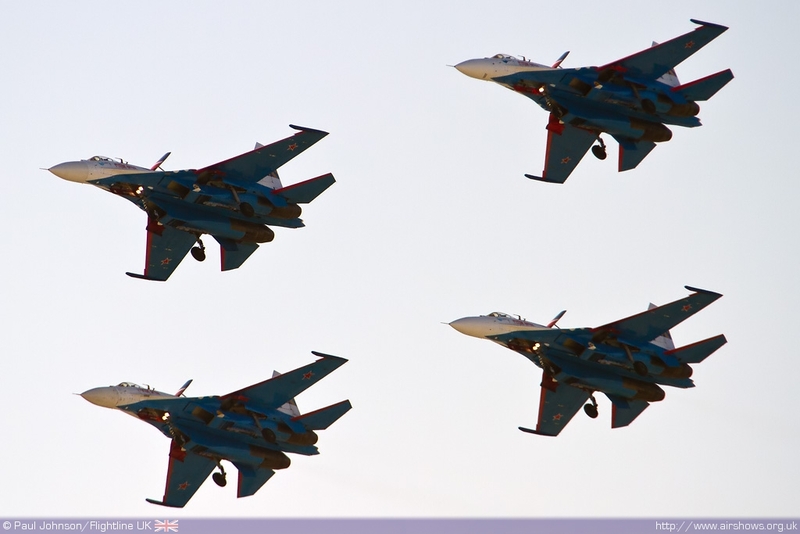 I for one cannot wait to see them again someday in which ever Sukhoi fighter they may be flying!